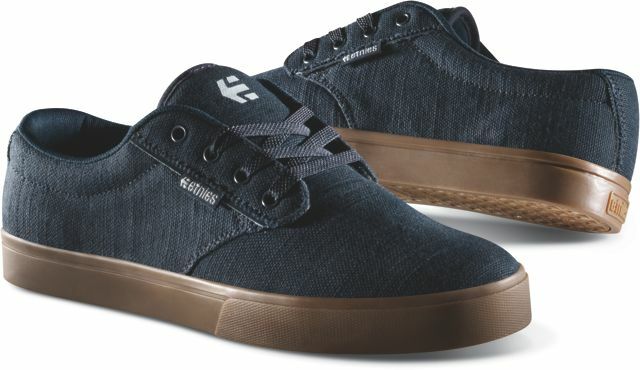 One of the shoe, the Jameson 2 Eco, is tied with a program called Buy a shoe, Plant a Tree for etnies rainforest. In 2011, etnies began planting the first 35,000 trees that will make up the etnies Rainforest in Costa Rica. The project that started with planting one tree in the rainforest for every pair of Jameson 2 Eco shoes sold, has turned into a bigger project where etnies will plant one tree in the rainforest for every pair of Jameson 2 Eco, Jaco Eco and Caprice Eco shoes sold for Spring 2012. By introducing new colorways in the spring for the Jameson 2, and a cork footbed, Etnies is gives the shoe a natural feel. There are now two guys’ styles and one girls’ style in the Buy a Shoe, Plant a Tree program. Ryan Sheckler’s latest shoe is part of the Fusion line, which uses a new manufacturing process. The patent-pending process fuses outsole, midsole, and upper together, and uses PU foam instead of glue. The Fusion technology makes vulcanized shoes more flexible, durable lighter and more eco-friendly, the company said. This is the second pro model for Tyler Bledsoe and it's a spinoff of his mid model.